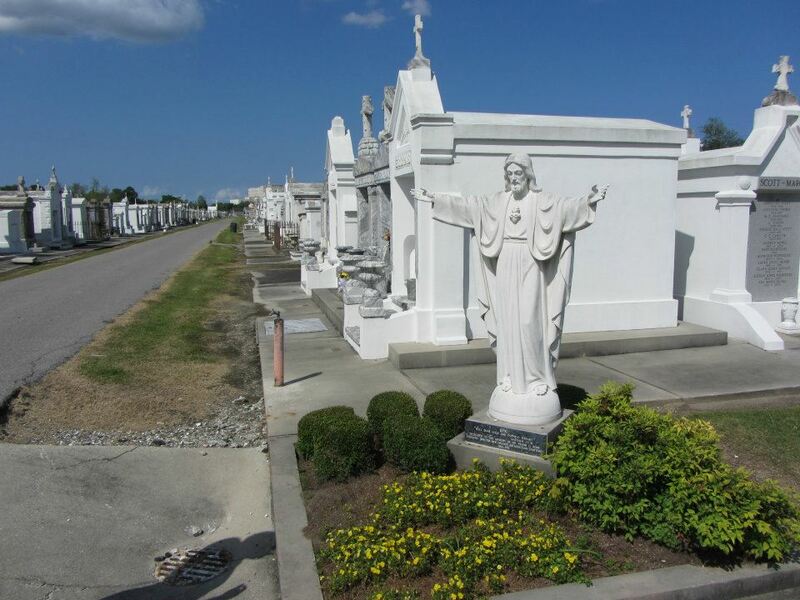 "Why do you love New Orleans" - this is a question that we've been asked more than any other. Today is the 10 year anniversary of Hurricane Katrina and I felt writing a post about our love for this city today only seemed right. Why we love New Orleans: New Orleans is a city unlike any other. You will find culture, architecture, history and the best food in the US. It is both a family friendly and a party town. You can spend a day antique shopping or go bar hopping. Watch a Superbowl champion play football or go to the casino. The city is full of romance and intrigue. New Orleans is so much more than Bourbon St. New Orleans is our favorite city in the US. 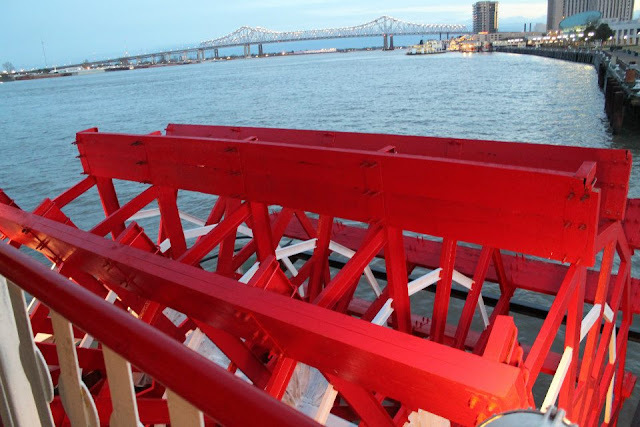 Our first visit to New Orleans as a couple took place in April 2012. I had been there once before for a College football bowl game and instantly fell in love with the city. My husband and I decided to go for his 30th birthday (we were only dating at the time). Although I had been to New Orleans once before, this was truly my introductory to the city. We went back to New Orleans in January 2013 with both sets of our parents. We were there to run the Rock n Roll New Orleans Half Marathon. I was certain Gabe was going to propose on that trip (he didn't). 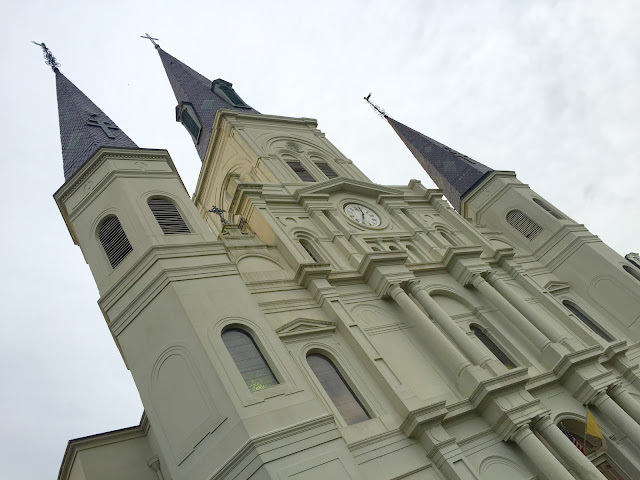 Our parents loved the city and this would not be their last visit to the Big Easy. 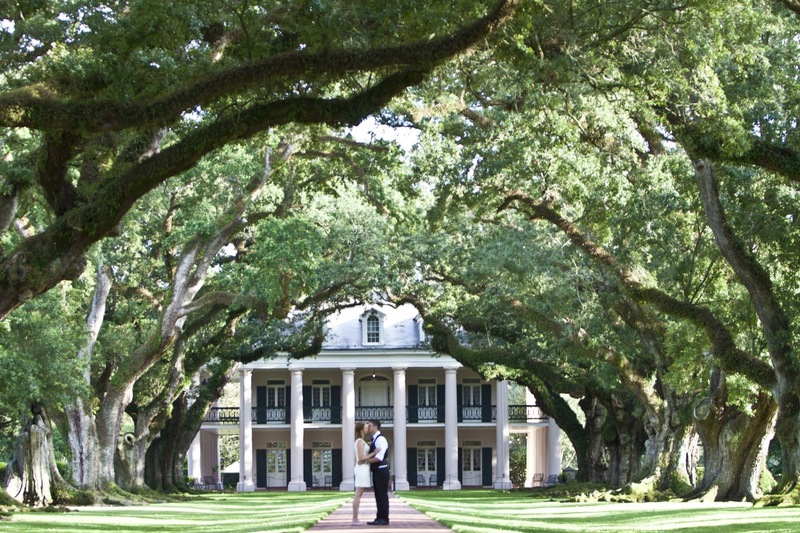 This was the first time we went outside of the French Quarter and visited Oak Alley Plantation. June 17, 2013 we got engaged. The following day we told our parents we were getting married in New Orleans. We then got asked "why New Orleans" on a daily basis. Simple - we wanted to introduce our favorite city in the US with our family and friends. We headed back in August 2013 for an engagement shoot at Oak Alley Plantation and to view venues. We ended up signing at Hotel Mazarin. After our summer visit in 2013, we went back up two more times to do wedding stuff. It was a valid excuse for a trip ;). 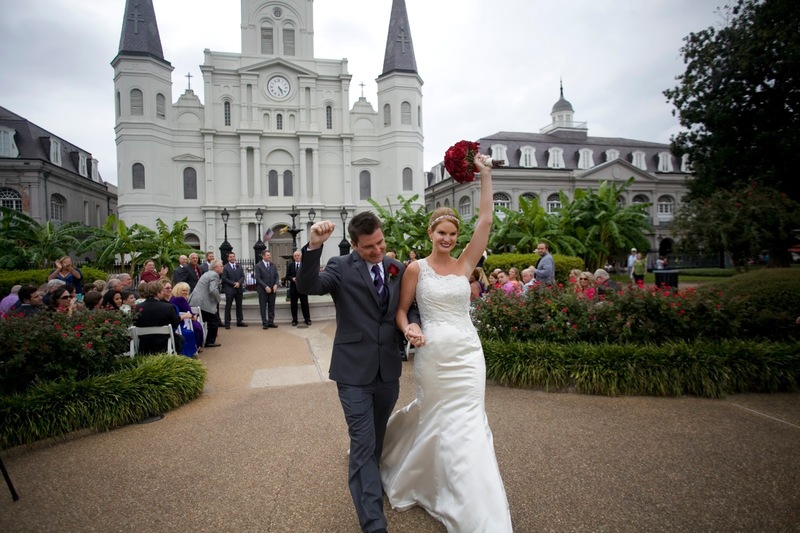 On September 27, 2014 we got married in Jackson Square with St. Patricks Cathedral as our backdrop. 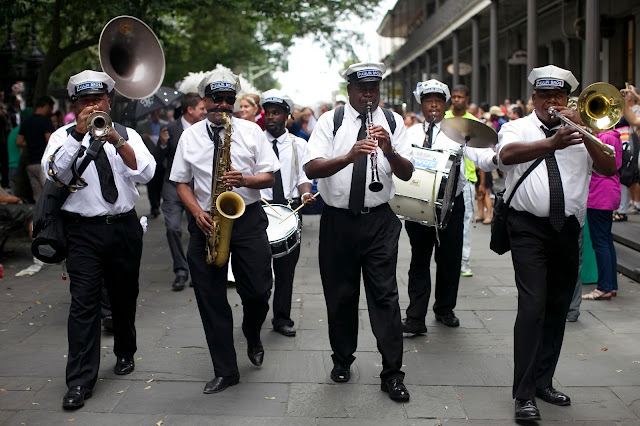 85 people came into town for the wedding, only 6 of whom had been to New Orleans before. Everyone had a fantastic time and now knows why our heart is in NOLA. 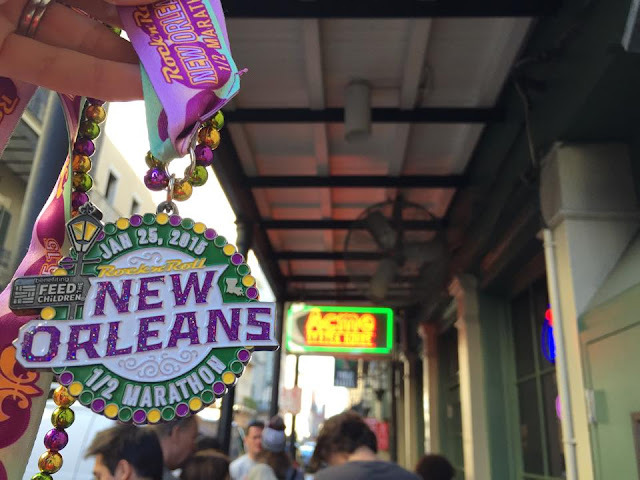 We try to visit New Orleans twice a year, using the Rock n Roll New Orleans Half Marathon weekend as an annual excuse to go up. The 2016 medal is Jackson Square! You know we will be there for sure. Second Line Parade's are always a lot of fun to watch. They're even more fun to be in. One of my favorite details of our perfect wedding was parading down the French Quarter. Everyone stopped to watch and say congrats. It was surreal. 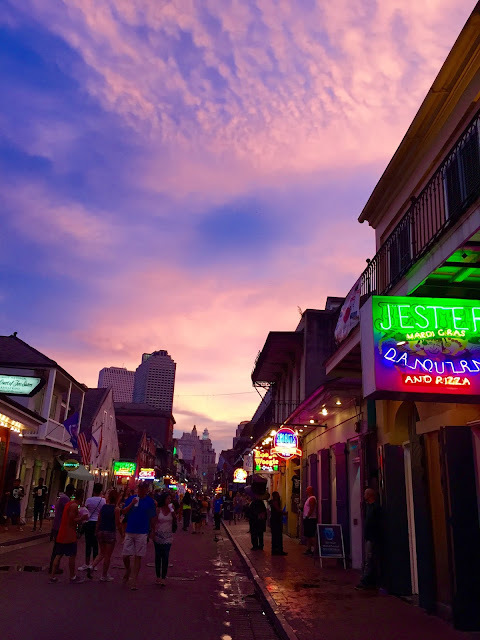 There is something magical about New Orleans at sunset. Walking down the streets, gas lanterns lit. Bourbon Street at sunset is magical too - in a different way. Just a short street car trip away you will find yourself in the Garden District, home of some of the most beautiful houses I have ever seen. 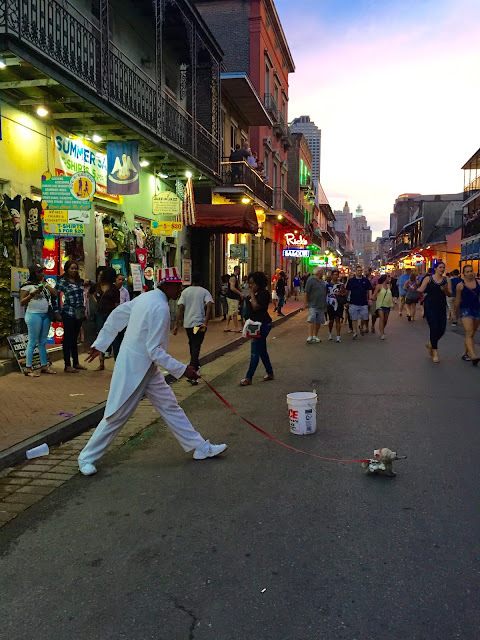 A few blocks outside of the French Quarter will place you on Frenchman St., where you will hear some of the best Jazz in the city. I mentioned architecture earlier. 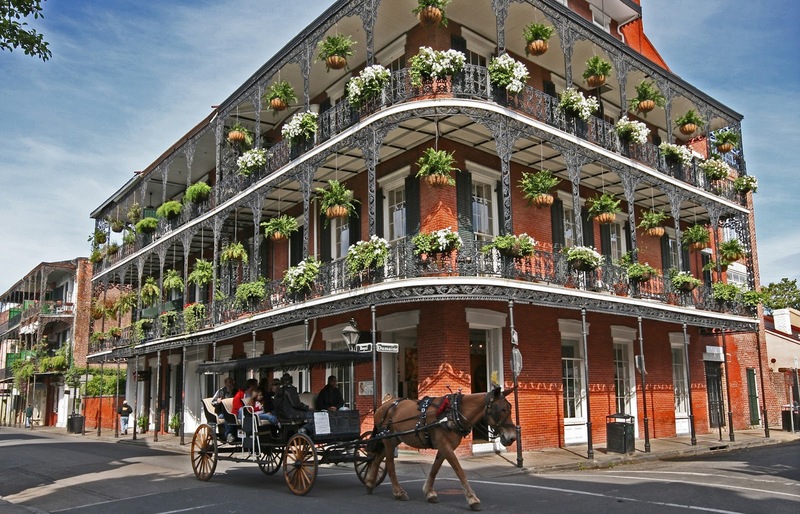 Cottages, shotgun houses, bungalows and Colonial mansions adorn the streets of New Orleans, some of which are over 300 years old. New Orleans is a place you cannot miss out on visiting at least once. This is a place where there is truly something for everyone. A place that will always be our second home. 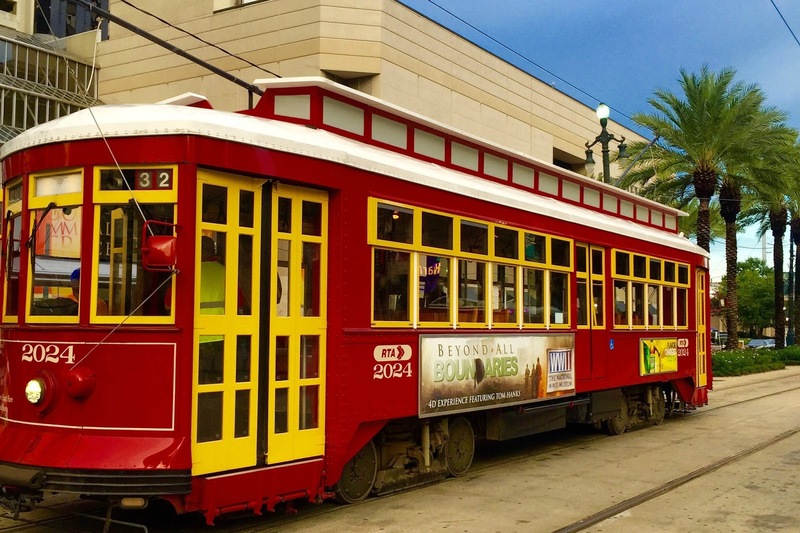 When's the best time to visit New Orleans? There really isn't a bad time. This city always has something going on so be sure to check out New Orleans Visitors Bureau to see what festival or event is taking place. Great pics and post! We loved exploring NOLA too, especially the amazing food!